Situated near the airport, this spa hotel is within 1 mi (2 km) of Wat Klang and Walking Street. Wat Luang and Pai Hospital are also within 15 minutes. This hotel features a full-service spa, a restaurant, and a bar/lounge. Free WiFi in public areas and free self parking are also provided. Other amenities include spa services, concierge services, and dry cleaning. All 38 rooms provide free WiFi, furnished lanais, and room service. Premium bedding, coffee makers, and free bottled water are among the other amenities available to guests. 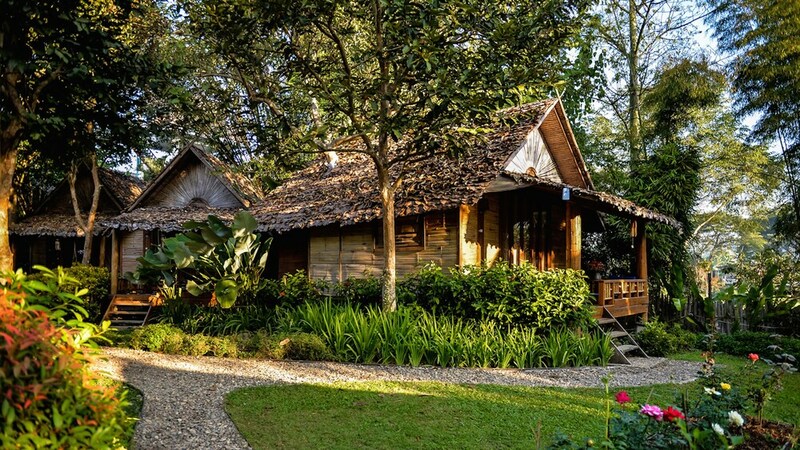 Pai Village Boutique Resort & Farm features a full-service spa. The hotel offers a restaurant. A bar/lounge is on site where guests can unwind with a drink. Wireless Internet access is complimentary. This Pai hotel also offers spa services, a terrace, and tour/ticket assistance. For a surcharge, the property provides a roundtrip airport shuttle (available 24 hours) and an area shuttle. Limited complimentary onsite parking is available on a first-come, first-served basis. Pai Village Boutique Resort & Farm has designated areas for smoking. The Blue Ox - This restaurant specializes in international cuisine and serves breakfast and dinner. Guests can enjoy drinks at the bar. Open daily. Start your morning with a buffet breakfast, available each day from 7:30 AM to 10:00 AM for a surcharge. You can order a meal from room service during limited hours. Guests can indulge in a pampering treatment at the hotel's full-service spa, Mamalon. Services include massages and manicures and pedicures. A variety of treatment therapies are provided, including aromatherapy and reflexology. Rollaway/extra beds are available for THB 1200. This property offers transfers from the airport (surcharges may apply). Guests must contact the property with arrival details 24 hours prior to arrival, using the contact information on the booking confirmation. Reservations are required for massage services and spa treatments. Reservations can be made by contacting the hotel prior to arrival, using the contact information on the booking confirmation. No pets and no service animals are allowed at this property.